India and Burundi enjoy cordial and friendly relations. The opening of Burundi’s resident mission in New Delhi in 2009 and progressive interactions between political leaderships of the two countries have lent importance and direction to the relationship. A delegation led by MoS for External Affairs, Smt. Preneet Kaur visited Burundi in February, 2012. A multi-sectoral CII business delegation also accompanied the Minister. A General Cooperation Agreement was signed by the two sides during the visit. MoS for Agriculture and Food Processing Industries, Shri Arun Yadav, visited Burundi in May, 2011 as a Special Envoy of the Prime Minister for inviting the President of Burundi to the second India-Africa Forum Summit (IAFS-II). MoS for Rural Development Shri Sudarshan Bhagat visited Burundi in July 2015 as PM’s Special Envoy to extend an invitation to the President and the Foreign Minister for IAFS-III. HE President Pierre Nkurunziza paid a state visit to India from in September, 2012. Second Vice President Mr. Gervais Rufyikiri led a business delegation to the 9th CII Exim Bank Conclave to New Delhi in March, 2013. The first Vice President of Burundi Gaston Sindimwo led Burundian delegation to India to attend IAFS-III in October 2015. He was accompanied by Alain Aime Nyamitwe, then Foreign Minister of Burundi. Major General Ndayishimiye Evariste, Secretary General of the ruling party of Burundi, CNDD-FDD visited India in March 2018 to attend 13th CII-EXIM Bank Conclave. Mr. Barnabe Mbonimpa, Minister of Public Health visited India in December 2005 to attend the GAVI’s (Global Alliance for Vaccines and Immunization) 3rd Partner's Meeting held at New Delhi. Mr. Adrien Nyakiye, Chief Justice of Burundi, visited India in December 2005 to attend a conference in Lucknow. Defence Minister Maj. Gen. Germain Niyoyankana, on a private visit to India in May 2006, met Hon'ble MOS for Defence, Shri M.M. Pallam Raju in May 2006. Second Vice-President of Burundi, H.E. (Mrs.) Marine Barampama visited India in October 2006 and was the guest of honour at the CII-EXIM Bank Conclave on India-Africa Partnership Project. Then Foreign Minister of Burundi, Mr. Augustin Nsanze, visited India in March 2010 to participate in the CII-Exim Bank India-Africa Partnership Summit. During the visit, the Foreign Minister met Dr. Shashi Tharoor, Minister of State for External Affairs, on the sidelines of the Partnership Summit, and discussed issues of bilateral cooperation. He again visited India for the LDC Ministerial Conference from 18-19 February 2011. He met EAM on 17thof February 2011 and discussed issues of bilateral cooperation. Mrs. Kayitesi Odette, Hon. Minister of Agriculture and Livestock Burundi visited India in February 2014 to participate in Asia-Africa Agribusiness Forum organised by FICCI. Hon. Minister of Finance and Economic Development Planning, Mr. Tabu Abdallah Manirakiza, travelled to India in February 2014 to sign two LOC agreements with Exim Bank of India. The first agreement was for a US$ 4.22 million LOC for a Farm Mechanization project, and the second was for US$ 0.17 million for preparation of a Detailed Project Report for an Integrated Food Processing Complex in Burundi which is to be set up under a LoC of USD 38 million. Ms. Evelyne Butoyi Hon’ble Minister of Youth, Posts and ICT, Burundi led a delegation from Burundi to attend India Telecom 2019: An Exclusive International Business Expo held on 12th February 2019 in New Delhi. Following the first India Africa Forum Summit (IAFS-I) in 2008, Burundi was nominated by the AU to host the India-Africa Institute of Educational Planning and Administration (IAIEPA), one of the 5 institutes offered by India at the Pan-Africa level The institute is mandated to strengthen the capacities in the region in the sector of education. Under IAFS-I, India offered eight Vocational Training Centres (VTCs); one each to the eight RECs. Burundi was nominated as one of the countries to host the VTC. The centre was inaugurated in December 2016. It imparts vocational training to people from the region to enable them to be gainfully employed or become entrepreneurs. At the second India-Africa Forum Summit (IAFS-II) in Government of India announced 40 biomass gasifier systems, out of which a cluster bio-mass gasifier system is to be established in Burundi. These are expected to provide low cost sustainable electricity in villages by powering a gas engine. At IAFS-II, India also offered, among other things, eight Farm Science Centres (FSCs). FSC is an innovative institution of the Indian Council of Agriculture Research (ICAR) which has played a pivotal role in application of technology at farm levels in India since 1974. Burundi has been selected by the East African Community for hosting one such FSC. In addition to the above institutions, a tele-medicine centre and a tele-education centre was set up in Bujumbura in 2010 under the first phase of Pan-African E-Network Project. The project aims to provide quality and real-time medical care and education from India at a fraction of cost. Government of India has extended a Line of Credit of US$ 80 million for the 20MW Kabu hydro-electric project. In this regard, an agreement between the EXIM Bank of India and the Government of Burundi was signed in May, 2011. H.E. Mr. Gervais Rufyikiri, Vice President of Burundi laid the foundation stone for the Kabu HEP in Cibitoke Province on 30th August, 2012. Work on the project is underway and is expected to be completed in 2020. The first ever Foreign Office Consultations between India and Burundi were held in October 2017 in New Delhi where issues of bilateral, regional and global importance were discussed. India has offered two Lines of Credit worth USD 161.36 Million to Burundi, i) for construction of a new Parliament building in Gitega [USD 102.27 million] and ii) construction of two Ministerial Buildings in Bujumbura [USD 59.09 million], Burundi. The matter is under consideration by Govt. of Burundi. 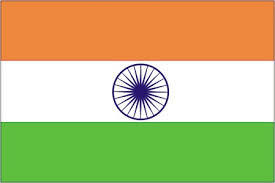 India is seen as a destination for quality and affordable education by Burundians. The Government of India offers scholarships and fellowships to Burundians from the Government and private sector to enable them to pursue under-graduate, graduate, post-graduate and research courses in India. Training courses in highly specialized areas are also conducted for officers of public institutions. India’s exports to Burundi comprise pharmaceuticals and chemicals, machinery and instruments, plastic and linoleum products, transport equipment and rubber manufactured products. Main items that India imports from Burundi include non-electrical machinery, iron and steel. During the last few years, Indian companies have invested in coffee plantation, manufacture of synthetic water tanks, distilleries, computer hardware, hardware stores and paints. Bajaj and TVS have local dealers in Burundi for sale of two-wheeler motorcycles and three-wheeler auto-rickshaws. Their products are well received in Burundi. It is estimated that there are around 300 PIOs and Indian nationals live in Burundi, most of whom are traders and businessmen. Their positive role in the country’s economy is recognized and appreciated both by the Government of Burundi and its citizens.